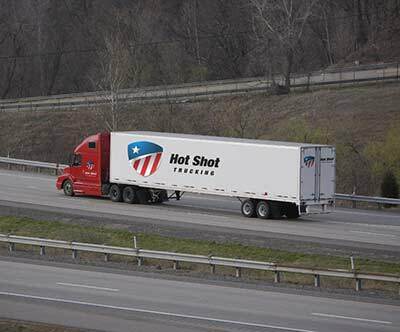 We are your local, regional and national full truckload solution for Hot Shot Freight. Your full truckload solution for Hot Shot Freight. 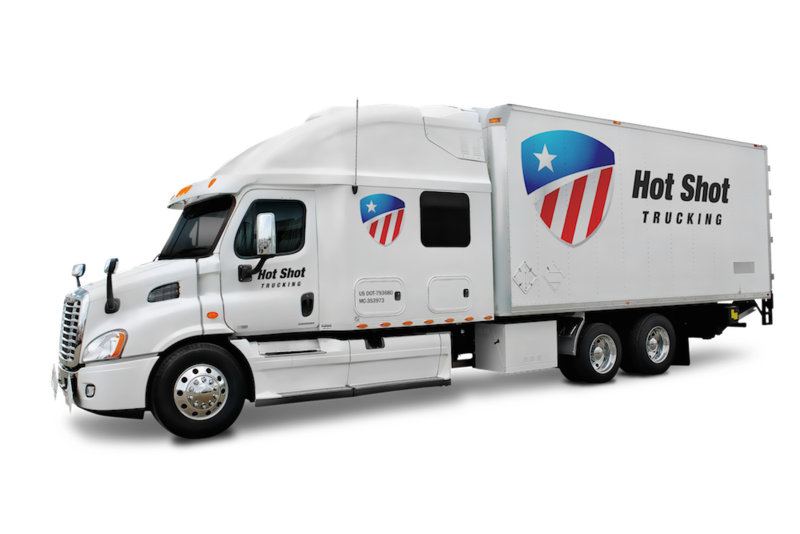 When you're seeking only the best in Full Truckload services for Hot Shot Freight then HotShotTrucking.com is the winning solution. We provide leading Full Truckload services with unrivaled capabilities and specialize in servicing accounts related to crude oil, natural gas, oil drilling, fracking and refinery operations. In addition our expansive network has both local and national hot shot freight solutions for the construction and automotive sectors. You'll receive the benefits that come with our immense experience, proven systems and complete far-ranging transportation options which allow us to do this quickly and effectively underlined by our ongoing commitment to professionalism and excellence. We are your Hot Shot Carrier solution. If you're in need of an Expedited Truckload Carrier, look no further than HotShotTrucking.com. With years of experience and proven results on our side, we're ready to take on freight of all sizes delivered to destinations of any distance. Our truckload carrier services have been built with your needs in mind providing the very best network of hot shot carrier resources wherever you are located and committed to your success. When your urgent freight needs to arrive on time and be backed by the care and professionalism you expect we are the Hot Shot Company you can rely on. 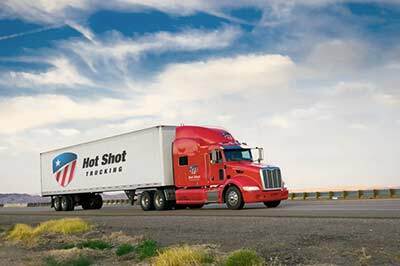 HotShotTrucking.com offers a broad and versatile selection of transport options, ranging from flatbed trucks to straight trucks, tractor trailers through to dry vans. Our operations are skillfully manned by experienced personnel by our entire network of trained team and expedited drivers numbering in the thousands; each ready to provide the attention to detail plus the level of service and reliability you've come to expect from a leading Truckload Carrier. Each day we provide hot shot carrier services across the country, learn how we can help you meet your goals below. HotShotTrucking.com's service doesn't begin when we pick up your freight, and it certainly doesn't end once it has been delivered to its destination. Off the road, we offer services ranging from routing and scheduling to comprehensive reporting systems. We know exactly how you want to track your urgent freight and provide the valuable support that you need. When you work with a versatile Truckload Carrier like HotShotTrucking.com, the possibilities are virtually endless. We haul hot shot loads of all sizes with no weight limitations—locally, regionally and nationally. Urgent freight is our daily life and we will meet your expectations. So if your natural gas, crude oil, refinery, drilling or fracking operation is in need of a Full Truckload Carrier you can count on, contact HotShotTrucking.com and submit your quick quote today or contact us via phone at 800-713-1000. Hot Shot Brokers for Urgent Freight Delivery. Hot Shot Trucking provides all of the services expected from a comprehensive, versatile and dependable Truckload Brokerage. With this in place we are an invaluable ally to oil refineries, oil sands, pipelines and fracking operations across the country. We're equally adept with being Hot Shot Brokers for service needs for urgent delivery within the automotive and construction sectors. With our extensive service offerings, vast experience and proven systems, there isn't a hot shot load that we can't handle. Best of all we're working daily in your industry and only handle hot shot trucking. We bring you benefits with every contract due to our unique capabilities that result from our network of thousands of trained drivers, operating everything from dry vans to straight trucks, tractor trailers and flatbeds. We're fully equipped to deliver wide loads, mega size loads, urgent freight and over-dimensional loads with the speed and dependability to be expected of a leading Truckload Brokerage. In addition our coverage spans the entire nation and Canada, whether your urgent freight is heading 150 miles up the highway or clear across the nation we're ready to help provide your hot shot services. 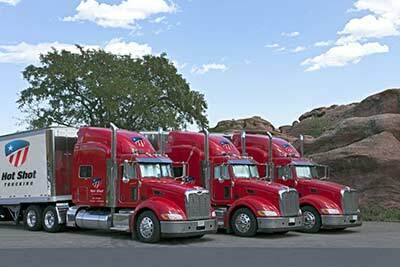 We know that the world of crude oil, natural gas, fracking, oil drilling and refineries present a crucial need for reliable truckload services and here at HotShotTrucking.com we rise to meet these challenges. Need hot shot loads delivered before 8 AM? No problem. Our Dispatch will ensure your Time-Sensitive Freight arrives on-time and keeps you in the loop every step of the way. Never again be left guessing about the status of your hot shot freight – we'll keep you fully informed. HotShotTrucking.com will pick-up, hold or deliver your Full Truckload freight according to your schedule plus we'll work with you to coordinate deliveries, plan loads, track arrival times and much more. For a Truckload Brokerage you can partner with and count on, look no further than HotShotTrucking.com. Start today with a quick quote or please call us at 800-713-1000.